Our unique hybrid model allows you to get the right care when you need it. Urgent Care and 24-hour Emergency Services in one convenient location. 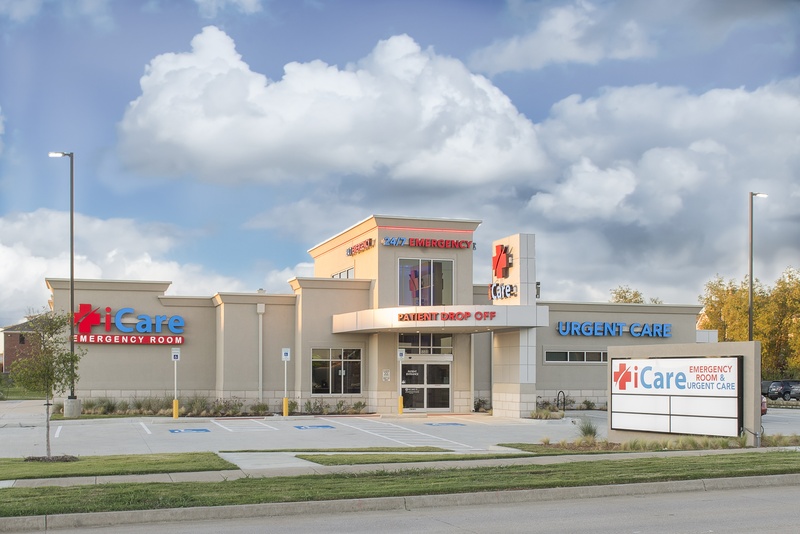 Recognized favorably amongst their patients, iCare Urgent Care, Fort Worth has an average rating of 5.0 stars out of 5 based on 181 total ratings. The base price for an office visit at iCare Urgent Care is $125 with additional services being an extra charge. Patients typically pay between $20 - $125 for common services. iCare Urgent Care accepts many major insurance plans and multiple forms of payment, making it easier to get the affordable care you need. It is always a good idea to contact your insurance company before your visit to ensure the Clinicis in network for the service(s) you're seeking. My nurse was compassionate and knowledgeable. My doctor was also so kind and professional. Thank you for taking the time to make me feel better. Your work is appreciated. Just like all the reviews I read stated, the staff was friendly and professional. There were only a couple of forms and they got me in and out quickly. Best of all the doctor took his time, was very thorough, and explained everything. Great experience! Dr Slaughter was the best! Derrick the new guy was great along with all the staff as always. Everyone is very attentive and helpful. This was my second time going to this facility. Everyone is amazing including the front desk! The nurses and doctors take the time to listen and answer any questions and concerns that you may have. Will recommend them to everyone I know. Was able to schedule my appt online and only had to sign a few forms when I arrived. The wait time was less than 10 minutes to be triage and then less than 10 minutes for the doctor. The full process was quick, easy and friendly. Would highly recommend. Excellent service! I would use them again! All staff was friendly and compassionate. Everyone was really nice and helpful. Awesome. In and out but didnt feel rushed at all. Took the time to listen and very friendly . My son, husband and myself have all been to this clinic. We were treated great each time. Very clean and excellent bedside manners. We will be back if the need arise. Dr. Cole and his staff are wonderful. I appreciate the kindness and quality of care. Wonderful experience! Everyone is so kind and I’m always in and out in a timely matter and on the road to feeling better. I highly recommend iCare! I wish every doctor and hospital visit I’d ever had could have went as well as this one. The Dr explained everything he was going to do before he actually did it and also explained why he was doing it. Wish I could make him my primary dr. I definitely will not hesitate to visit this facility again should my family or I have any medical issues that need to be addressed.